In this book, the first of two, Franco Santoro provides an overview of the basic principles and practices of astroshamanism: a spiritual system of healing aimed at expanding human perception through the integration of shamanism with experiential astrology and the contemporary revival of archaic mystery traditions. The author examines astrology and its close relationship with shamanism, showing how to employ different tools to facilitate the exploration of non-ordinary dimensions and help create a bridge with conventional reality. In this context the birth chart is used as a Sacred Circle to access information on the geography of shamanic states of consciousness and to allow their safe exploration, knowing where to find guides, spirits, allies, power, grievances, blocks, etc. Here the horoscope is not interpreted or analysed, but it reveals itself through emotions, movements, dances, sounds, rituals, images and situations aimed at extending the awareness of reality and supporting strong transformational processes. Contents: Experiential astrology, shamanic cosmology, vertical and horizontal axis, the 12 Sectors, intent and function, the ego system, forgiveness, practices and rituals, the astroshamanic voyage, spirit guides, power animals, totem spirits and demons, spirit medicines and sacred tools, astroshamanic chants, trance postures and dances, astrodrama, astrological language, shamanic forms and derived houses, non-ordinary traits, the Sacred Cone, and more. You can order your copy of Astroshamanism Book One and Book Two directly at info@astroshamanism (reduction of 40% for our readers) or by Paypal at £ 5 for each book (plus £ 2.80 delivery in the UK, £ 4 in Europe). "[...] As an astrologer you are either at home with chants and rituals and inner guides or you are not. This book certainly gives plenty of information about how to get safely on to this path and there is a wealth of material here, to be continued in the second part of the book.. " THE ASTROLOGICAL JOURNAL, London [excerpt from Number 5, September/October 2003]." 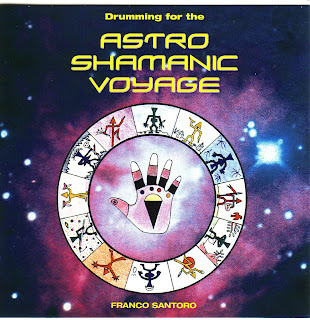 "In 'Astroshamanism - Book 1', Franco Santoro generously transmits his shamanic knowledge and experience through the language of astroshamanism: a method that he has developed by expanding the connections between shamanism and astrology. Astroshamanism has been one of the most significant healing tools and experiences in my life. This method allows the integration both of the personal and collective unconsious, through the relationship with the deities (planets) that refer to each zodiac sign. This rapport, which develops through the connection with the Spirit Guide, primarily serves a healing function. True healing, both physical and psychic, can only be of a spiritual nature, and this is what happens during the workshops and sessions lead by Franco Santoro" PAOLA PIERPAOLI, astrologer, author, channeler (Italy). 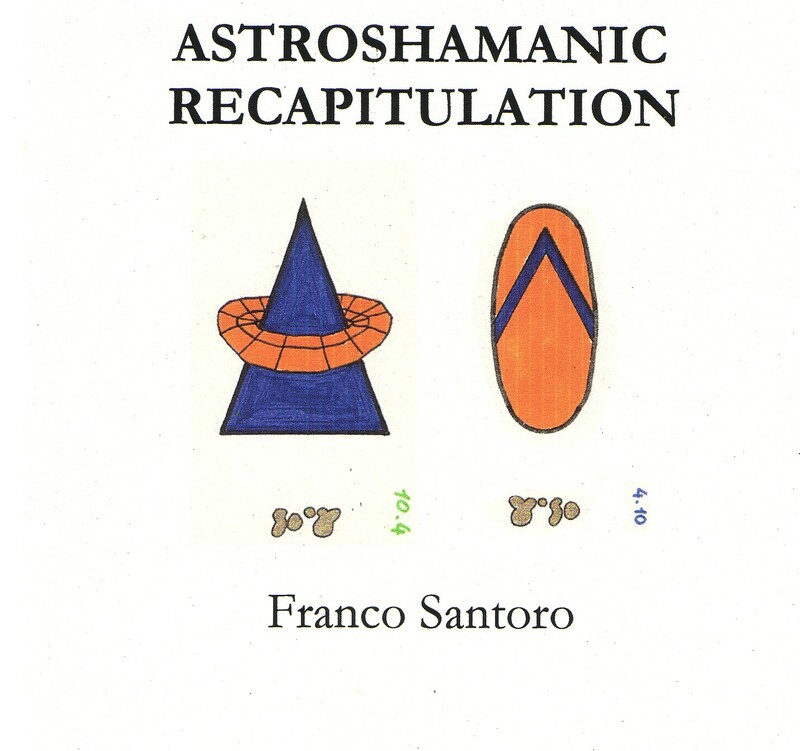 In this second volume, Franco Santoro takes us through an initiatory journey into the multi-dimensional universe that thrives beyond the limited boundaries of our ordinary perception. 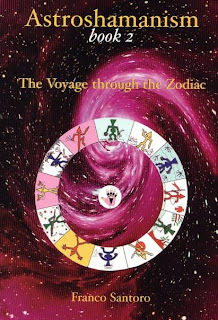 The book is devoted to the exploration of the zodiac as a Sacred Circle and consists of chapters dealing with each of its 12 Sectors and 4 Directions. 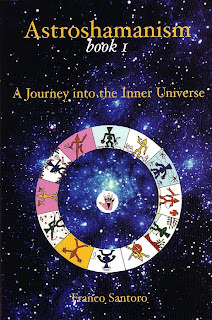 Extensive information on the shamanic and astrological characteristics of the Sacred Circle is provided, together with a wide range of practices, insights, approaches and experiential accounts to suit different people and situations. It includes detailed explanations that allow the reader to have a direct experience of their authentic potential and ground it in their daily life. Both visionary and pragmatic, this book aims at accessing the shamanic realms of the zodiac to gently release the illusion of separation and gradually reawaken the original power of our divine nature. Contents: astrological signs, houses, planets and related shamanic connections, Totem Spirits and basic archetypes, astrological correspondences (animals, plants, minerals, qualities, grievances, etc. ), healing tools, chants, dances, rituals, techniques, myths, reports of shamanic voyages, more. I first read the original draft of this book when a group of us at Findhorn were doing the training in Astroshamanism offered by Franco. 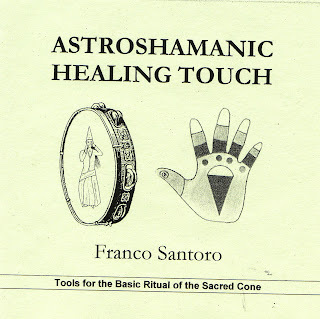 As we met each month Franco would give us the literature for the relevant sector, along with some of the material that now forms part of Astroshamanism Book One. The material in Book Two is closely based on those early notes for each of the sectors that Franco so generously made available to us then, and we readers of this edition are privileged to receive a lot of previously unpublished original material in this volume. Book Two forms a major source of reference to return to time and time again, and can offer clues and pointers in many situations. A lot of the information contained here I have never come across anywhere else, and it has provided the key to understanding some aspect of my experience on many occasions. I personally find the minutiae as fascinating as the broader picture and am deeply appreciative of finally having all of this information in a book. Whilst working on the draft Franco was driven by the need to get all of the information for each of the sectors down on paper and consequently out of his head (or wherever it comes from!) leaving him free to develop his practice, research and teaching of astroshamanism. This volume, along with the guidance contained in Book One, also forms a practical course to follow with some valuable and original exercises to undertake during each sector. You can order your copy of Astroshamanism Book One and Book Two directly at info@astroshamanism (reduction of 40% for our readers) or by Paypal at £ 7 for each book (plus £ 2.80 delivery in the UK, £ 4 in Europe for each book). disponibile su Amazon.it, clicca qui per ordinare. o su Amazon.co.uk clicca qui. 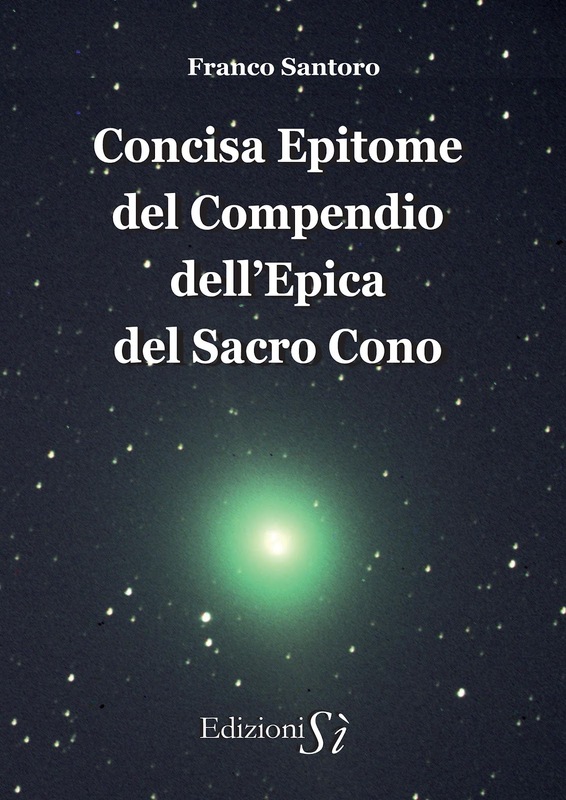 Dopo 10 anni è finalmente disponibile l'edizione italiana del primo dei due volumi di Astrosciamanesimo scritti da Franco Santoro, e pubblicati originariamente in lingua inglese. Franco Santoro offre un'introduzione completa ai principi e alle pratiche dell'astrosciamanesimo, un sistema olistico di guarigione spirituale finalizzato a espandere la consapevolezza umana mediante l’integrazione di sciamanesimo, astrologia e antiche tradizioni esoteriche. L'autore esamina l’astrologia e il suo rapporto con lo sciamanesimo, fornendo la descrizione di vari strumenti atti a facilitare l’esplorazione della nostra natura multidimensionale e ad integrarla con la realtà ordinaria. 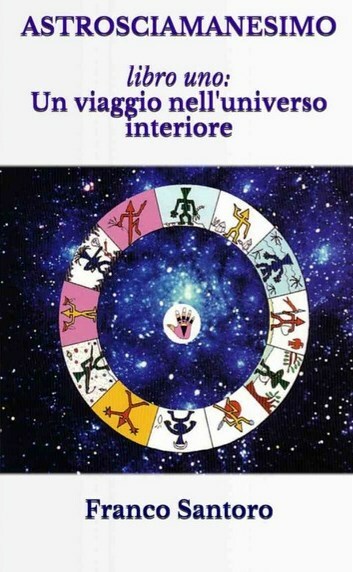 La carta astrologica è impiegata esperienzialmente come cerchio sacro, e si rivela mediante il coinvolgimento di tutti i sensi, le emozioni, il movimento, la danza, il suono, i rituali e ogni forma di espressione, con lo scopo di espandere la nostra consapevolezza e fornire le chiavi per un completo processo di trasformazione. 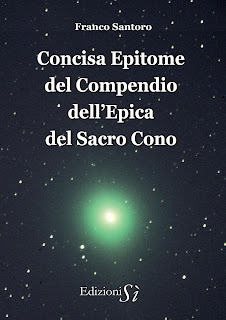 Contenuto: astrologia esperienziale, cosmologie sciamaniche, asse orizzontale e verticale, i Dodici Settori, Intento e Funzione, il sistema dell’ego, il perdono, pratiche e rituali, il viaggio astrosciamanico, lo Spirito Guida, gli animali di potere, gli Spiriti Totem, i demoni, le medicine spirituali, gli oggetti sacri, i canti astrosciamanici, le posture di trance, la danza sciamanica, l’astrodramma, il linguaggio astrologico, le forme sciamaniche e le case derivate, i tratti non-ordinari e altri temi. 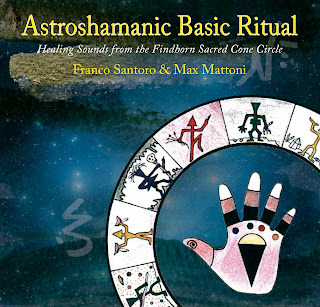 This CD has been specifically produced for astroshamanic healing and energy work, as described in Franco Santoro’s books and literature on astroshamanism and other holistic spiritual disciplines. 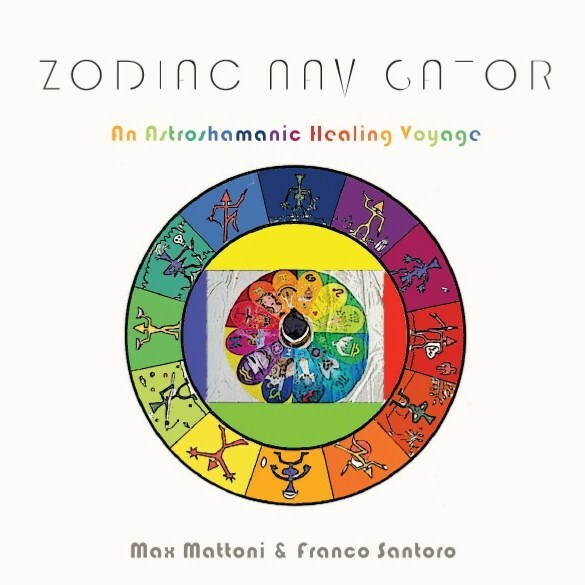 This CD is the result of three years of regular guidance and intense work done by music healer, singer and song-writer Max Mattoni (1.5.9), Sun in Aries, Moon in Leo, Ascendant in Sagittarius, Saturn Power (Sun conjunct Saturn), Uranus and Pluto Flower (Uranus and Pluto conjunct Midheaven) in association with Franco Santoro (6.8.8), Sun in Virgo, Moon and Ascendant in Scorpio, Neptune Vessel/Instrument (Neptune conjunct Moon/Ascendant), Uranus Flower (Uranus conjunct Midheaven). Zodiac Navigator constists of 13 astroshamanic healing tracks, featuring each zodiac sign and the centre, aimed at retrieving and harmonising their luminous potentials, while releasing the related grievances. The sounds support deep relaxation and access to expanded states of consciousness, encouraging the vitalisation and harmonisation of the subtle energy centres of the body and environment. This process aims to stimulate the release of grievances, toxins and blocked patterns, paving the way for deep transformational processes. The CD can be used to support a range of healing practices, according to your own guidance or spiritual path and tradition. These include: shamanic trance dance, astroshamanic touch or bodywork, multidimensional first aid, healing rituals and prayer. Produced, composed, arranged and recorded by Max Mattoni. Played by Max Mattoni (guitars, keyboards, vocals, frame drums, tambourine, jews harps, singing bowls, harmonica), Franco Santoro: (shamanic frame drum, tambourine, thai gong, jews harp, harmonica, guidance). 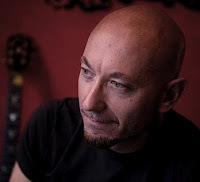 Thanks to Stefano Maria Crocelli- didjeridoo on track 10, Flavia Vallega- vocals on track 8 & 9, Primary school vocal childs (Oleba) on track 2, courtesy by Stefano Maria Crocelli. 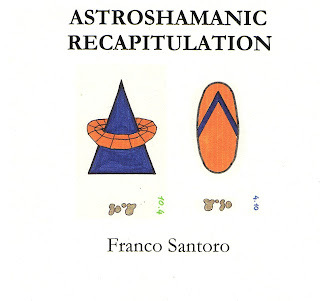 This is the title of a recording produced by Franco Santoro specifically for astroshamanic pratices and voyages. Track 1 and 2 contain two solo drumming journeys of about a quarter of an hour each, with call-back drumming made at the end of each segment. They are played with two different drums. Track 3 includes a single voyage of half an hour in length, divided into three stages (Intent, Release, Integration) encompassing the Higher, Lower and Middle world. The first and second stages utilize solo drumming, whereas the third stage involves rattling. Track 3 can also be used as a short version of the Astroshamanic Basic Ritual of the Sacred Cone and as an aid for astroshamanic healing sessions. This CD has been specifically produced for shamanic healing and energy work, as described in astroshamanic literature. The sounds support deep relaxation and access to expanded states of consciousness, encouraging the vitalisation and harmonisation of the subtle energy centres of the body and environment. This process aims to stimulate the release of grievances, toxins and blocked patterns, paving the way for deep transformational processes. The CD can be used to support a range of healing practices, according to one’s guidance or spiritual path and tradition. These include: shamanic journeying and trance dance, astroshamanic touch or bodywork, active and still meditations, healing rituals and prayer. 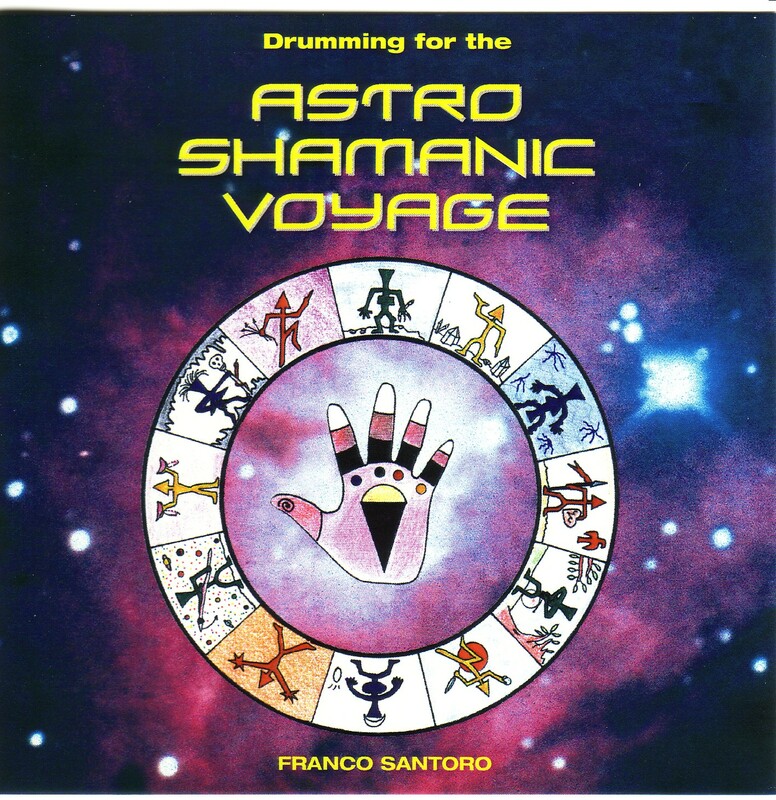 The basis for the structure of this CD is taken from the classic astroshamanic ceremony of the Astroshamanic Basic Ritual of the Sacred Cone. 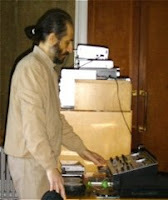 For an audio sample and detailed description of the CD and its usage click here or see video above. 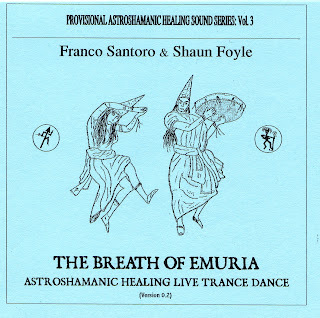 This is the first version of an astroshamanic trance dance production, recorded live at Cluny Hill College Ballroom, Forres (Scotland) on 9 December 2004 during a public astroshamanic healing ritual. Astroshamanic dance is used to achieve a state of ecstasy where the dancer uncovers his true nature and surrenders to her authentic function in the web of life. In astroshamanism, the 12 zodiac sectors represent the fragmented parts of the soul. Each sector has its own frequency and through dance we can align to its ways and fully incorporate it. We open ourselves to stars, planets, and whatever exists around us, reactivating the memory of our original communion. By physically dancing the sectors, we enter into their rhythm, experiencing their energies and directing them toward a sacred intent. 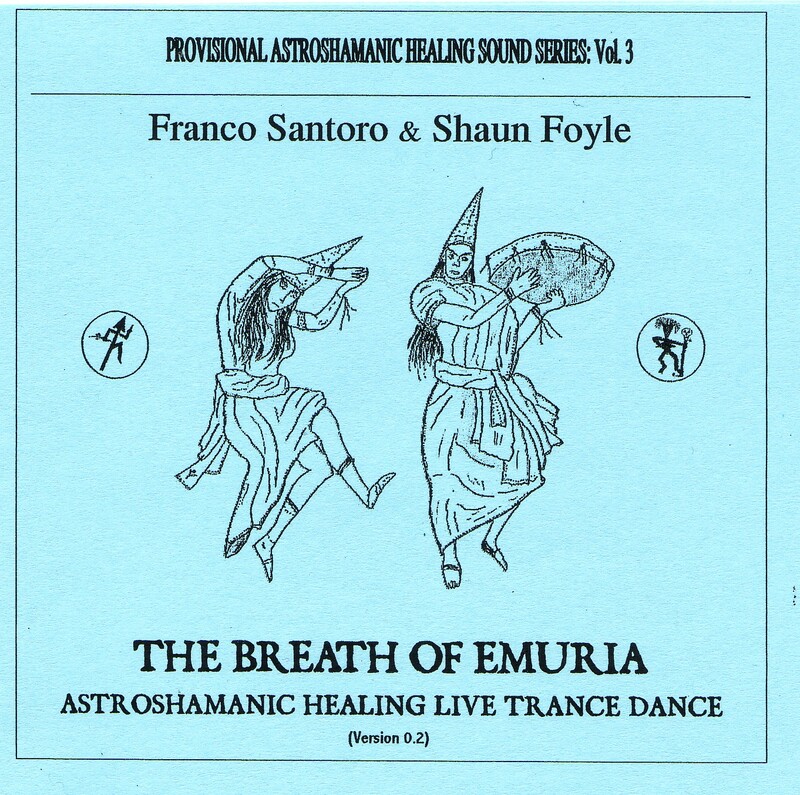 Emuria is a strategic multidimensional healing realm related with the binary 9.8. Its honourable force enhances the harmonuous dialogue between darkness and light. The CD features Franco Santoro (bells, jaw harp, medicine rattle, ritual frame drum, tamburieddhu, tamorra, sistrum, woodshaker, Thai gong, vocals) and Shaun Foyle (bendir, plains flute, NI Kontakt sampler). Edited and mixed by Shaun Foyle using Cubase SX. Recorded at Cluny Hill College, Pavilion West, Forres (Scotland) on 12 December 2004 with New Moon in Sagittarius. Track 1 contains a 30-minute monotonous 4/4 beat solo frame drumming with callback suitable for general shamanic journeys or for practices of shamanic recapitulation. Track 2 includes a 30-minute monotonous 6/8 hand beat frame drumming ideal for shamanic healing practices or more intense shamanic recapitulation. The CD also contains a bonus track with Jewish harp for integration and healing. Recorded at Cluny Hill College, Pavilion West, Forres (Scotland) on 12 December 2004, New Moon in Sagittarius. Track 1 and 3 contain a 20-minute monotonous tambourine drumming at 4/4 beat (141 bpm) and 6/8 (167 bpm) respectively, with call-back shaking (2-4) at the end of each segment. Both tracks feature a 12-double jingle Southern Italian tambourine and can be used for AstroshamanicHealing® Touch and Bodywork, soul retrieval and trance dance. Track 5 includes a 20-minute monotonous shamanic jew’s harp piece at 147 bpm, suitable for AstroshamanicHealing® Touch and Bodywork, integration and contemplation, followed by 12-minute silence (6) and final gong. 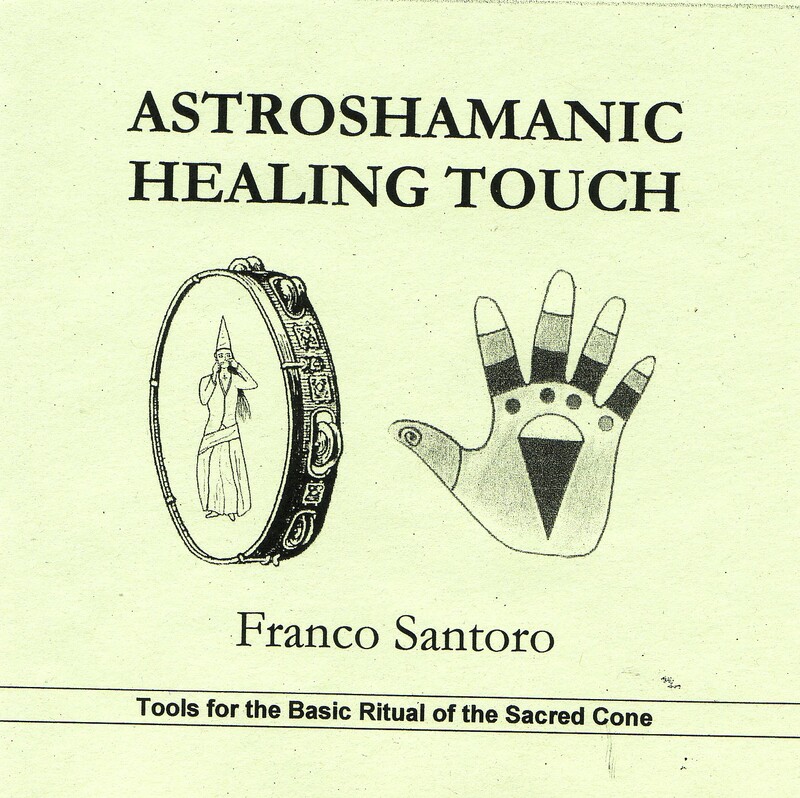 The whole CD can be used as a medium version Astroshamanic Basic Ritual of the Sacred Cone, with Stage One-Intent (1-2), Stage Two-Release (3-4) and Stage Three-Healing (5-6). 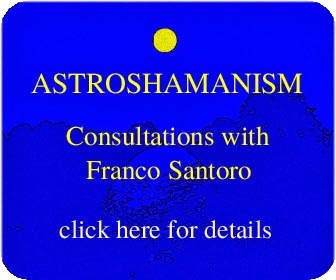 Franco Santoro: Energy worker, shamanic facilitator, member of the Findhorn Foundation and the developer of astroshamanism. His work is based on thirty-five years of direct personal experience, integrated with the teachings of many traditions, including Mediterranean and Celtic cultures, A Course in Miracles, Osho (for whom he was press agent) and the Findhorn Foundation Community. He is the author of Astroshamanism: A Journey Into the Inner Universe; Astroshamanism: The Voyage Through the Zodiac; the eZine PAN and other works including the series on CD, Healing Sounds from the Findhorn Sacred Cone Circle. Franco lives at Findhorn Foundation Cluny in Northern Scotland, where he regularly holds workshops, courses and consultations. He also runs outreach events worldwide.